VANCOUVER — He got an early start on his Christmas display this year. Next year, though, he hopes he cannot start until December. That is the life of an assistant football coach who also loves turning his home into a Christmas Lights Extravaganza. Rick Harrington, a longtime assistant coach at Camas and the former head baseball coach who won a state championship at Fort Vancouver in 1990, has scaled back a bit in recent years. 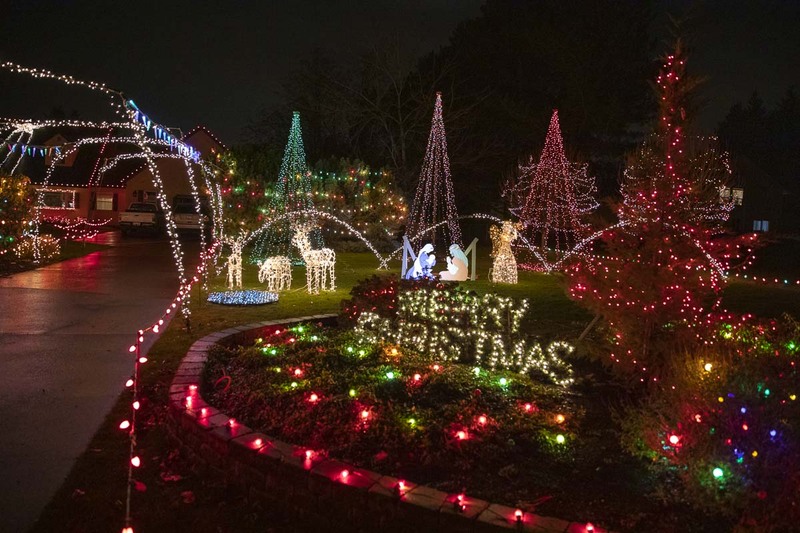 Now, he “only” has about 35,000 lights up at his home in east Vancouver. 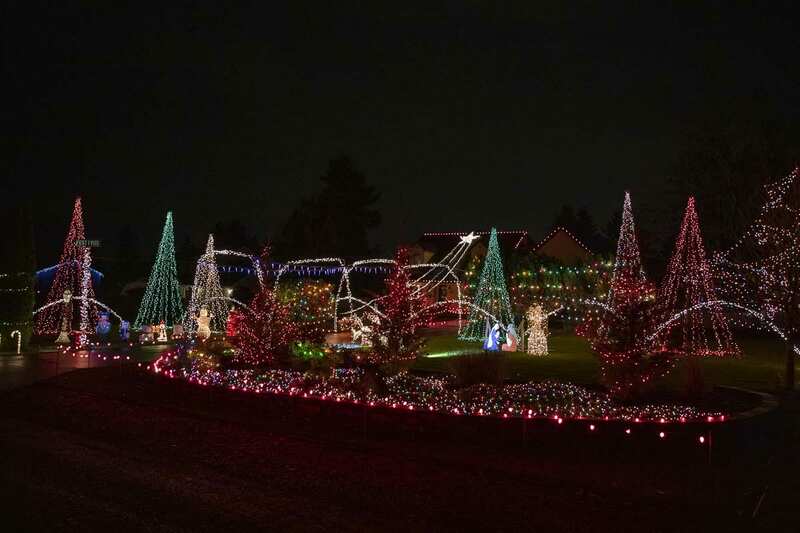 His display at his home at 18801 NE 23rd Street in Vancouver has been going up around this time for the past 18 years. 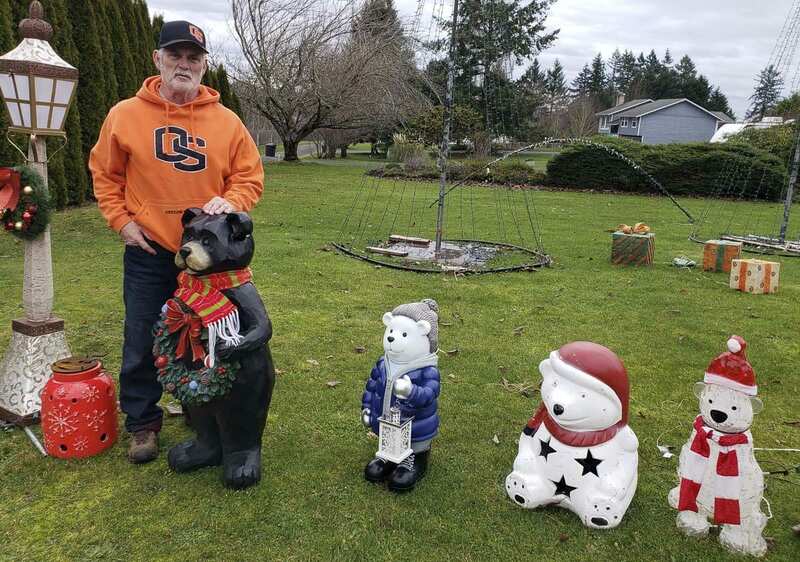 He thought about retiring the display, but so many people drop by his property now that he figures he must keep on giving this gift. A few years ago, he had 50,000 lights. One year, he might go back to that number. For the most part, though, this is a solo project. “Normally I don’t have much help,” Harrington said. 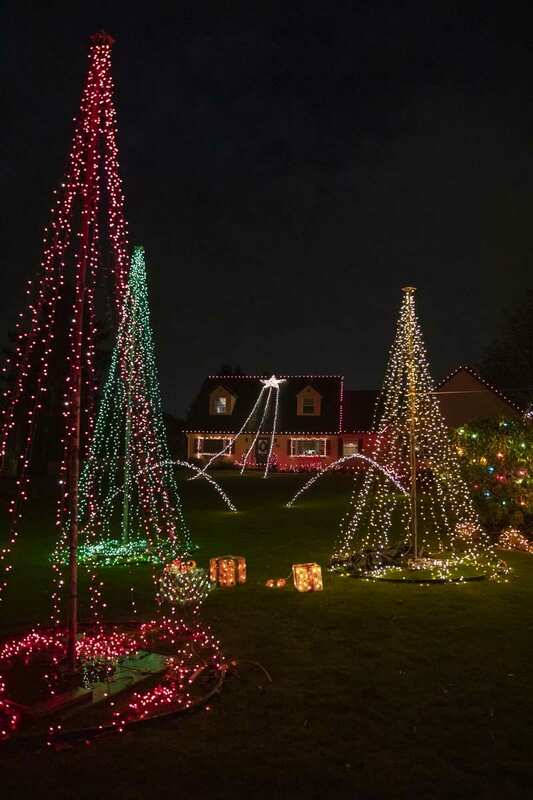 He has an 8-foot star on the roof of his home, with streamers from his front yard to the star. His home has a large roof, too, at a steep angle. “I haven’t fallen off a ladder,” he proudly claims. He has a few bears. You can see deer stopping at a pond to take a drink. A nativity scene is lit up, too. Can’t forget the Festivus Pole. Yes, a Festivus Pole from Seinfeld fame. Every year, the lights go up, he turns them on, and people come by to visit. He usually turns them off around 9:30 p.m. on weekdays, a little later on the weekends.The lights will be on display through New Year’s. Since he and his wife Linda have lived there, there have been new homes built across the way. In previous years, he had extra bright lights on the trees, shining in the direction of the new homes. Neighbors have become regulars, in fact. He does not synch up his display with blinking lights and music. He is more old-school, with the C-7 and C-9 lights. He has very few LED lights. As far as music, he usually just plays a CD of Christmas songs. Harrington said he is always thinking of ways to improve his display. Maybe there will be something new next year. Of course, he is hoping he will have a later start. This year, the Camas Papermakers were knocked out of the playoffs in early November. Next year, though, he hopes to be coaching into December. No matter when, the plan is to put up the display again and again. “I just love kids’ reactions. That’s really neat,” Harrington said.